The Large Video theme allows you to maximizes your video experience inside the Church Online Platform while still enabling all the features available in the default ike chat and live prayer with the bonus of a larger video that scales to the width of the browser. 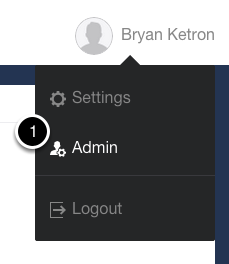 1) From the profile dropdown, click on the "Admin" icon. 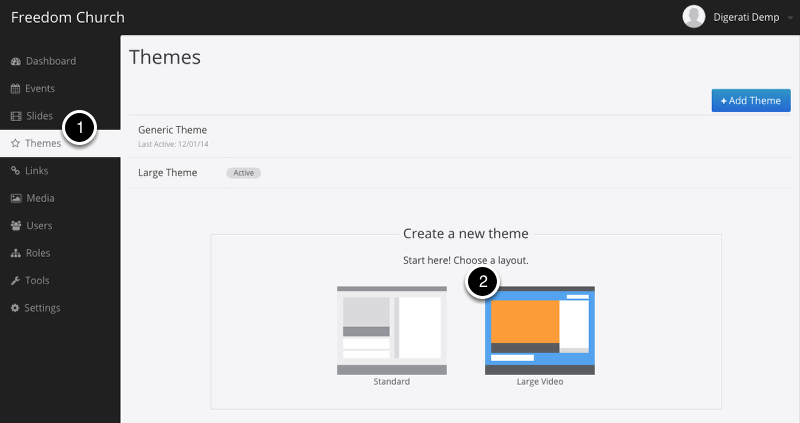 1) From the left navigation select "Themes"
2) Once you are on the "Themes" page select the "Large Video" icon from the Theme Library. 1) After you have made edits to your theme and saved. 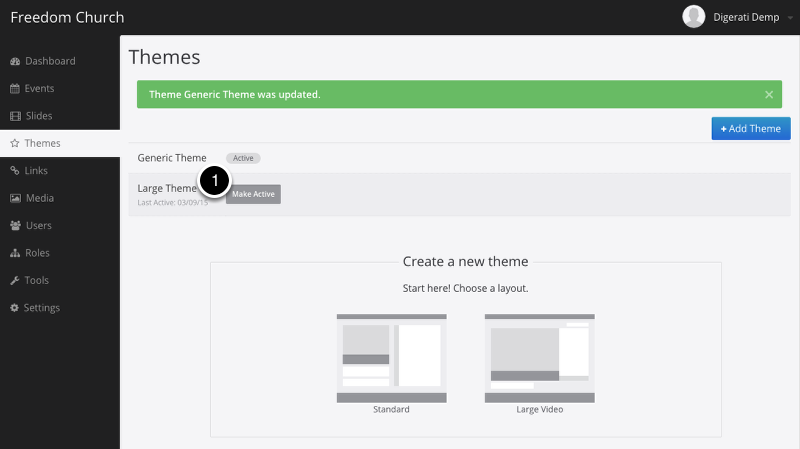 Go back to the "Themes" tab and select "Make Active" by hovering over the theme title.